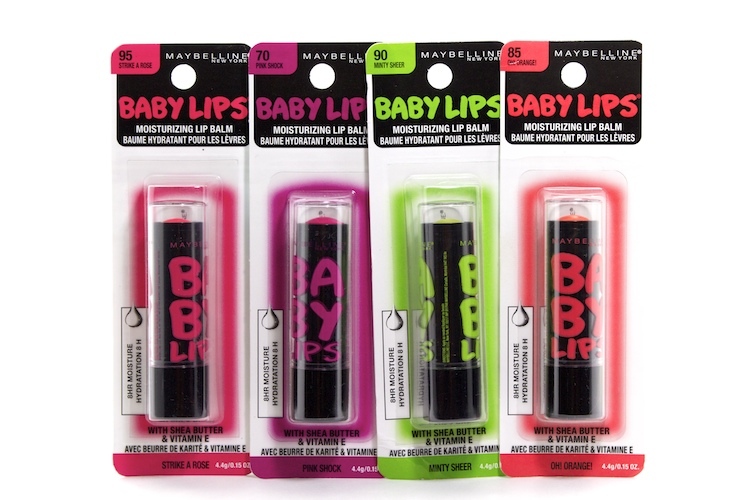 If you, like me, are a fan of the original Maybelline Baby Lips then you already know about the new Electro Baby Lips have been trickling into stores these past couple of weeks. There are six shades in total with four tinted shades and two clear ones. 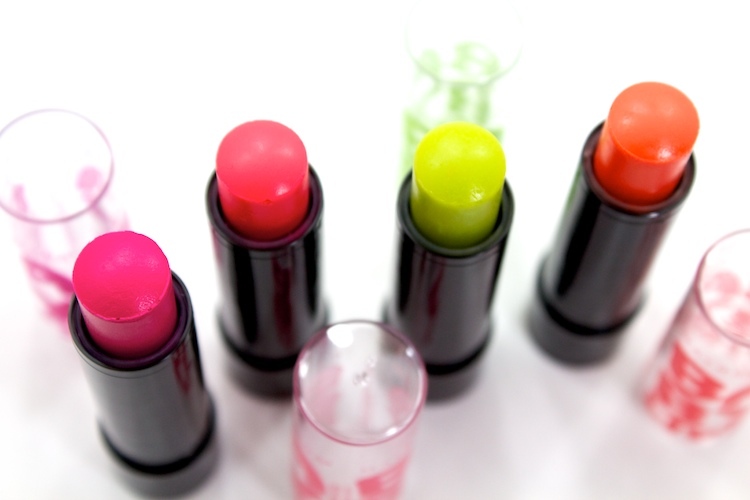 Like the originals, these are very moisturizing & hydrating on the lips. The application is easy. The texture is smooth and silky with a glossy finish. The tinted shades offer a nice colour payoff considering they're sheer lip balms, but despite the bold colours, they wear quite naturally on. The downside? There aren't a lot for me (but hey -- like I said, I was already a Baby Lips fan to begin with). The only thing I did notice is the lack of SPF -- I really liked that about the original. 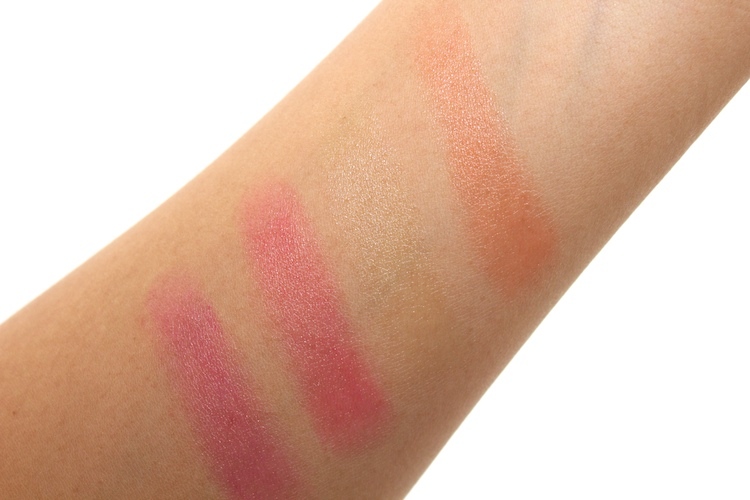 These new shades are definitely worth a look at the next time you're perusing the drugstore aisles! BTW, the two shades I don't have are Berry Bomb (a sheer grape) and Fierce N Tangy (a sheer hint of yellow but otherwise clear on the lips), although I'm apt to complete my collection. Strike a Rose looks like a nice sheerish wash of warm pink :) I was thinking of getting some of the tinted Baby Lips but I passed - I have too many lip products anyway and I'll always be loyal to Maybelline Baby Lips in Relieving Menthol. 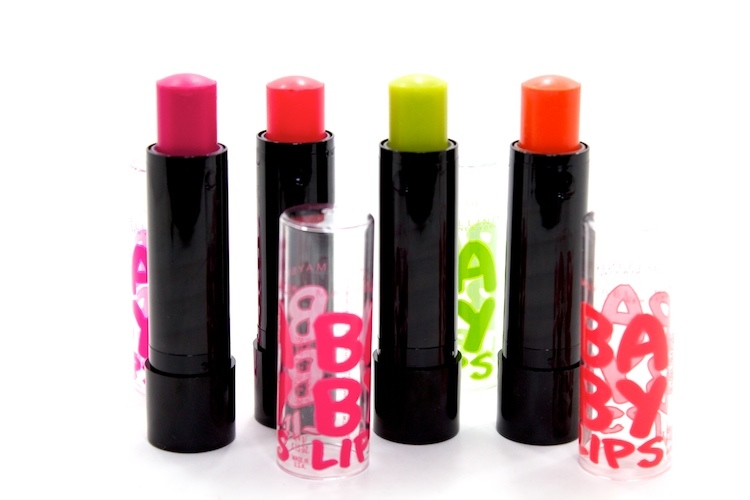 I haven't even tried the baby lips :O but in a way I kind of wish that the green was more pigmented... it would be fun to see people walking around with green tinted lips! not sure i'll be grabbing anything from their electro line but they're coming up with a medicated line which i'm totally going to jump on when its out. I didn't see Strike a Rose, but I picked up Pink Shock, Oh Orange and Fierce and Tangy which I'm totally enjoying!